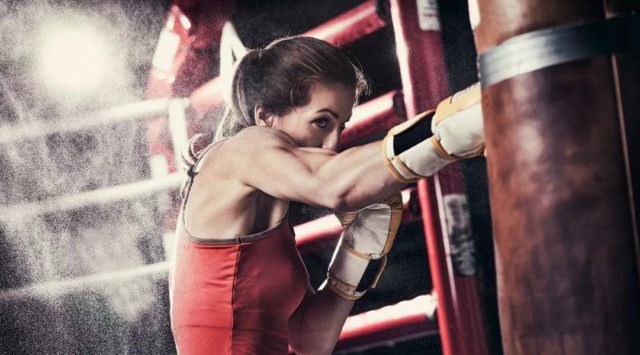 Want a boxing cardio workout that won’t take too much time? Here’s a 30-minute workout courtesy Mike Lee, a pro boxerand undefeated USBA light-heavyweight-champion. Round 2: Pushup (with gloves on) (20 sec.) Rest 20 sec. Round 4: Plank (20 sec.) Rest 20 sec. Round 6: All-out Body-weight Squat (20 sec.) Rest 20 sec. Round 8: Jump Squat (20 sec.) Rest 20 sec. DOES YOUR DIET NEED MORE SALT?